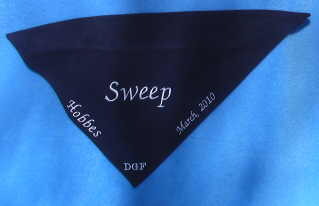 I wanted to give a great big thank you to everyone that helped to make Sweep's big day so special! 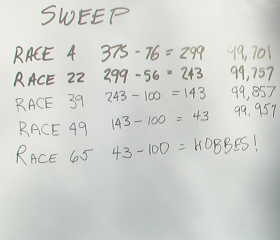 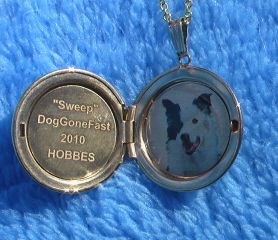 Here are some photos of his gifts, and a link to the race video where Sweep earned his Hobbes award. 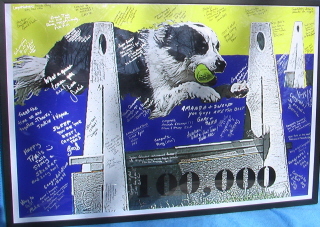 Presents we received during the party, along with the cake and champagne! 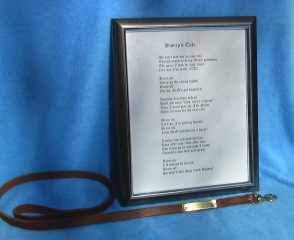 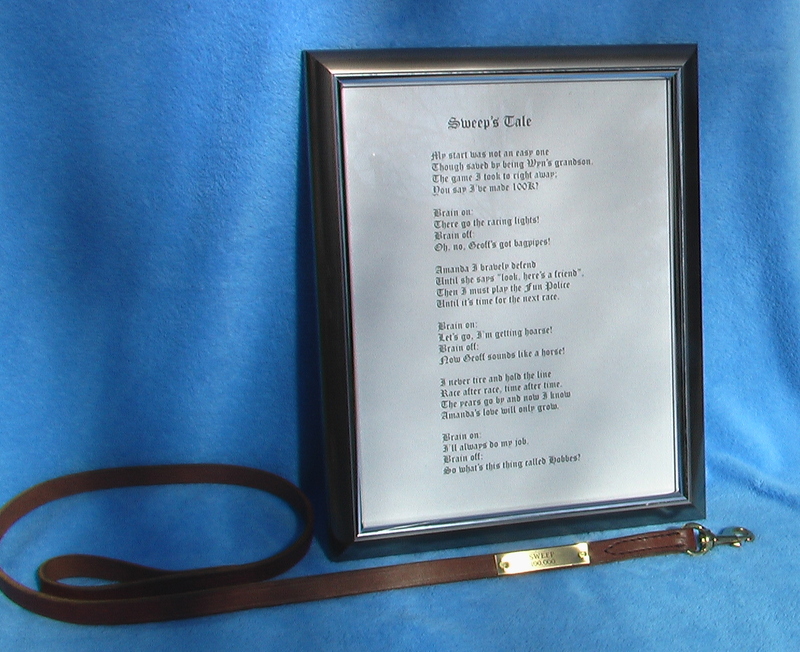 From our Flash Point and Drivin' K9 friends in Region 15, a beautiful leash and a special poem, authored by Mary Kline. 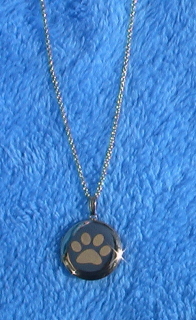 ... and also this gorgeous gold locket, the photo of Sweep is engraved into it! 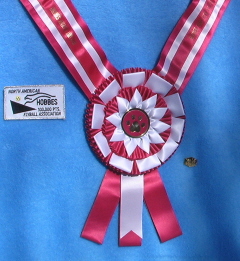 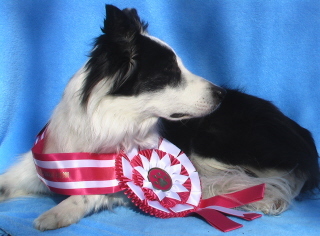 HJJ presented Sweep with a big ribbon during the awards ceremony. 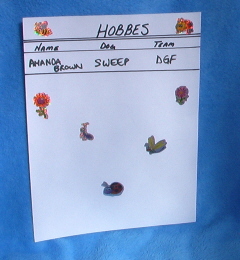 NAFA Hobbes patch, huge Hobbes ribbon and official Hobbes pin!